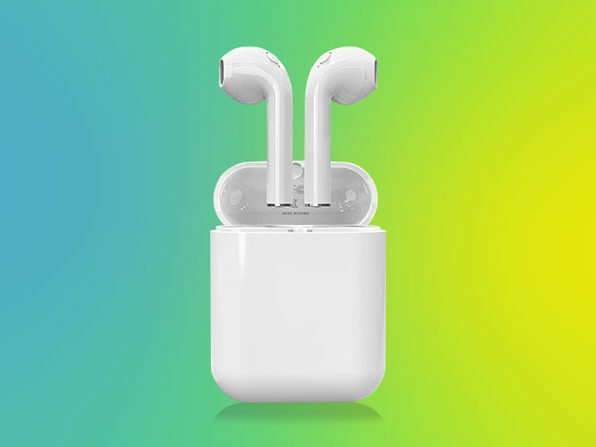 It had to happen: someone made an AirPod clone that at first glance looks exactly like Apple's wireless earbuds. Neva Tech's Air Bud Wireless Bluetooth Earbuds look very similar to Apple AirPods and come in a similar charging case that brings an extra five charges to your 'buds, but there's one important difference -- the price. Rather than shelling out $159.00 for a pair of AirPods, you can get Air Buds for only $19.99. About the only difference you'll be able to see on the outside of the Air Buds is a tiny button for pairing and answering calls -- that's instead of tapping on the exterior of your AirPods and hoping that the phone recognizes what you're doing. Performance-wise, the Air Buds last up to 2.5 hours on a charge, about half the time of AirPods. You'll be smiling at the savings, though. Get your Air Buds today!